One of the most significant virtues of the Romans, responsible for the long lasting success of their civilization, was their practicality. This is best seen in their ability to adopt local customs, religions and cultural mores, along with incorporating the accumulated knowledge and wisdom of foreign cultures under Roman dominion. Being great administrators, they soon saw the value of hygienic principles such as forbidding the burial of the dead within city limits, providing a minimum space of two feet between neighboring buildings, water transport via aqueducts, refuse and sewerage disposal. The Cloaca Maxima, which was a sewer built by the Etruscan Tarquins in the sixth century BC was first used to drain the marsh close to the Roman Forum and went on to serve the City of Rome for centuries to follow. While private medical practice continued, the Romans were very instrumental in evolving group medicine in the form of hospitals. This was especially important to serve the needs of the military. Each Roman legion, numbering from seven to eight thousand men, were divided into ten to twelve cohorts, and to each, Augustus Caesar assigned four doctors with a supervising legionary physician. In addition, the soldiers themselves were well versed in first aid. Army hospitals called valetudinaria were used to receive the soldiers. The remains of these hospitals are to be found throughout the Roman Empire. One located on the old Roman road to Cologne, called Novaesium was typical. It contained forty sick wards, administration buildings, large kitchens, and a well--stocked apothecary shop. It is no wonder that due to previous Roman lack of compassion, the new religion of Christianity was able to make significant headway, despite its early emphasis on faith healing. This occurred with the evolution of monasticism and a renewed spirit of humane compassion, exemplified by the tradition of maintaining a medicinal herb garden and a monastic pharmacy, available to its reclusive residents as well as to the local people. One of the most important steps in Roman medicine occurred in the year 46 BC when Julius Caesar granted citizenship to foreign doctors. Since the best doctors along with the best philosophers were Greek, this meant that the couple of centuries previous, wrought with suspicion and distrust associated with Greeks generally, and Greek doctors in particular, was lifted. 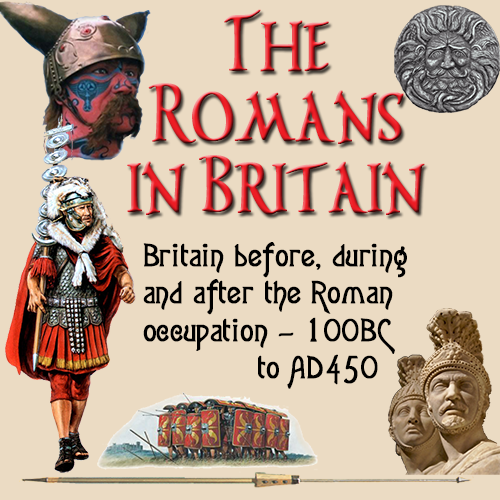 Again this was a wise and practical decision on the part of the Romans, since by the second century AD, Rome with its vast army was sprawled over an empire ranging from Africa to England. Such expansiveness is often subject to squalor and disease for which trained medical personnel were required. Previous to this edict Greek doctors were maintained as skilled and knowledgeable slaves. In part, due to the skill of one such doctor slave, the emperor Augustus in 23 BC went so far as to exempt doctors from taxes. Augustus had been a sickly man, suffering with rheumatism that affected his left leg that caused him to limp, arthritis, which had stiffened his right hand, chronic insomnia and frequent severe colds which in winter caused him to wear four tunics along with a heavy toga. No doctor had been able to alleviate his suffering until Antonius Musa, a freed slave diagnosed his problem as inflammation of the liver and prescribed cold sulfur baths. In gratitude for his cure, Augustus ordered Musa to be sculptured in the form of Asclepias.